Laura Bretan kicks off her European tour this spring. She will visit Romania, Belgium and the United Kingdom. Separately, Laura will perform in Rome, Italy for a special concert serie. 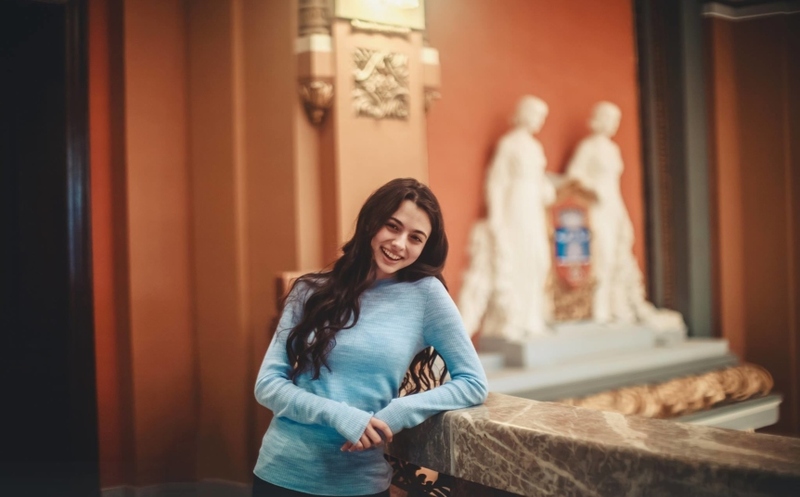 Laura Bretan’s European tour announcement and schedule showing the tour cities, dates, and lineups can be found here. Laura Bretan, internationally-renowned teenage soprano, finalist in America’s Got Talent, and winner of Romania’s Got Talent. Laura’s powerful interpretations of songs from popular operatic arias to classic ballads are taking the music world by storm! Laura Bretan was an America’s Got Talent Finalist and winner of the Gold Buzzer in 2016. She performed with David Foster in Beverly Hills and for the Anniversary Gala of Project Harmony at Opera Omaha. Laura toured Australia and New Zealand and joined Andre Rieu on stage for TV shows in Europe and China. Laura also performed the National Anthem for the White Sox and Chicago Bulls on several occasions. Laura was born in Chicago in April 2002 into a Romanian-American family. Encouraged by her mom, she started singing when she was four years old and at five she started to play the piano. She participated and won numerous contests and competitions. Currently, Laura trains with mezzo soprano Nicoleta Roman, lyric artist with the Chicago Symphony Orchestra. Laura Bretan is available for bookings for corporate and non-ticketed events.